Your newly replaced wheels should be balanced. Balancing them is not as easy as checking whether your new wheels are uniform in size and quality. A new tire placed on the rim should be balanced to distribute the weight evenly on the wheels. The rims' bulky parts should match the light parts of your tire to achieve balance. After matching your rims and tires, you can add some counterweights to balance the wheels further. Keep in mind that slightly or totally unbalanced wheels can cause a shaky steering wheel. Sad to say, the latest car models with flimsy suspension systems are more prone to unbalanced wheel problems. So, if your car is new, you must check your wheels regularly and don't leave them unbalanced. If you ignore it, unbalanced wheels will trigger problems with shocks, tread, and other suspension or steering components. The only way to fix this issue is to make sure your wheels are balanced. Also, see to it that your tire is lightly trodden and is in good condition. Misalignment is another typical wheel problem that causes your steering wheel to shake. In fact, misalignment is considered the number one cause of a steering wheel issue. This problem deals with your vehicle’s suspension and incorrect wheel positioning. Misalignment takes place after several years of infrequent driving, but it can happen sooner if the car is mostly used each day. Misalignment is inevitable, but you can delay it by avoiding potholes and driving through pavements. Also, you must keep driving your car within the recommended speed limit, and don't rush when passing through the rough roads. Driving with caution always helps in maintaining a car’s alignment for an extended time. Checking the tread on your tire will confirm if your shaky steering wheel is caused by misalignment. Typically, the tire of your misaligned car has a bumpy tread. While examining your tire, you will see its worn interior while the outside is almost covered with tread. In addition, when your steering wheel is centered and straight while the car pulls one way or another, misalignment may be the issue. Alignment is the sole solution to your car’s problem. It simply squares up the wheels & axles to correct and point them all in one direction. Alignment fixes and returns your car’s steering wheel on the center. Your wheel hub bearings maintain your car in its best condition. A shaky steering wheel occurs when the unlubricated wheel hub bearings are broken or damaged. Your wheel hub bearings let your wheels rotate correctly without friction, and they also support your car’s weight. The bearings connect to your car’s hub or axle assembly. If they don’t work correctly, the problem will directly affect your drive shaft, resulting in a wobbly steering wheel. Usually, when you have weak bearings, the steering wheel shakes when the car turns to any direction. If your car passes on a straight road, your damaged bearings won't trigger shaking. Bad bearings normally trigger a noise that comes from your wheels. You can remove and check your bearings for damage. At times, you can just clean and lubricate your bearings to solve the problem. If the bearings are badly broken or worn, replacing them is necessary. Your car’s suspension system includes a compound structure of pistons and shocks, rods and springs. This compound structure inside your car’s body connects your wheels to other automotive parts. Suspension can affect your car's movements. Noises, bumps, and vibrations are also minimized by your car’s suspension. Different suspension problems happen in the long run. These problems are quite hard to detect, but they are easy to resolve once discovered. Suspension issues like corroded or worn car parts, driveshaft imbalance, loose connections, and old shocks can cause harm to your steering wheel. If you think one of these suspension issues is the cause of your vibrating steering wheel, find out when the vibration happens. Shaking intensifies when the car speeds up and maintains a certain speed, but trembling happens sometimes at random periods. Knowing when the shaking takes place will help you detect the issue. This time, you must observe your car, especially if you suspect a possible suspension issue. The root cause of steering wheel shaking will be easily detected through comprehensive inspection. Signs, like grinding or rattling, will prove your car’s suspension is in trouble. Locating the damaged part of your car’s suspension and fixing the issue right away is important. By fixing your vehicle’s defective suspension immediately, your car will run as effectively and safely as possible. Brake issues can also cause a shaky steering wheel that can be felt only when your car slows down. Things like loose connections, worn brake cushions, and shocks or weak brake discs cause a steering wheel issue. In fact, most brake issues occur with other noticeable signs. Many shaking issues suddenly appear when the car accelerates, turns, or maintains a specific speed. You can detect brake issues only when you put pressure on them while driving. So, brake problems are easier to identify than the other car issues that cause a trembling steering wheel. When a few signs appear that indicate brake issues, you must inspect the system thoroughly to find out which part needs repair. Cleaning, replacing and tightening the loose parts of your brake system are necessary. Tips: The OBD2 onboard diagnostic scanner is something you want to check the health of your automobile from now and then. 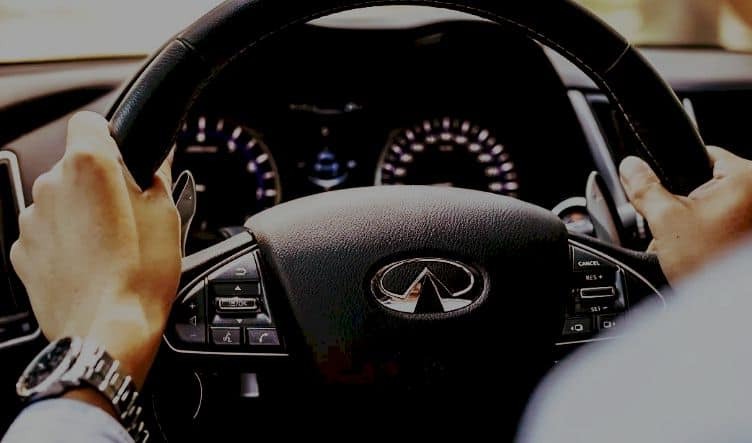 No matter the reason for your steering wheel to vibrate, early detection and troubleshooting of the issue are important. Steering wheel vibration may be a simple, minor issue like a loose rod or jagged tire tread. However, a shaky steering wheel indicates a bigger issue that can result in your car’s total malfunction. So, make sure that you investigate the different components of your vehicle’s systems to fix the issue properly. Also, you must do your best in fixing your car to get rid of a shaky steering wheel in no time.